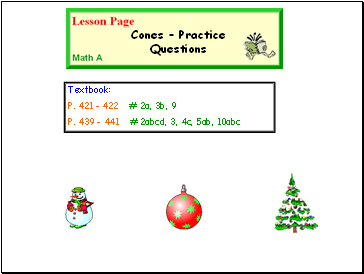 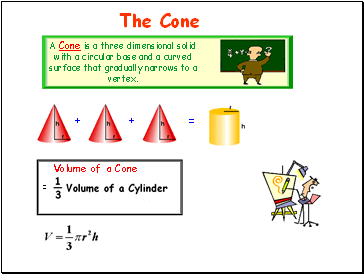 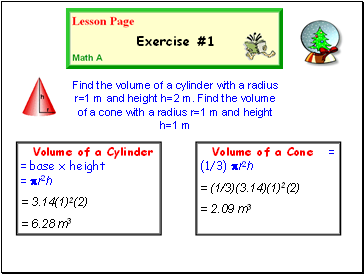 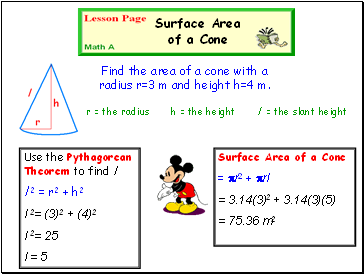 A Cone is a three dimensional solid with a circular base and a curved surface that gradually narrows to a vertex. 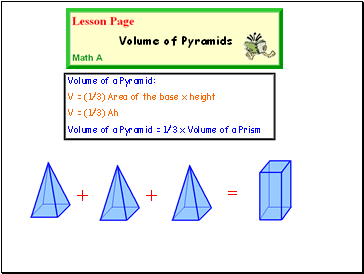 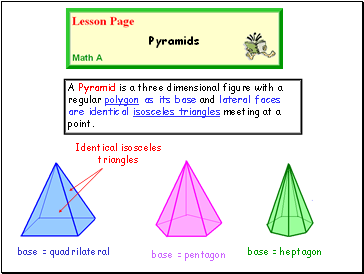 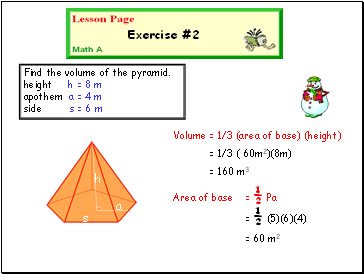 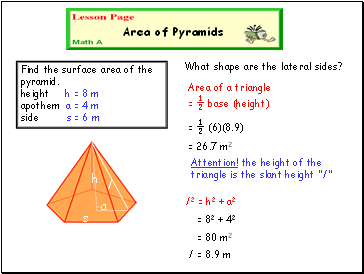 Find the area of a cone with a radius r=3 m and height h=4 m.
A Pyramid is a three dimensional figure with a regular polygon as its base and lateral faces are identical isosceles triangles meeting at a point. 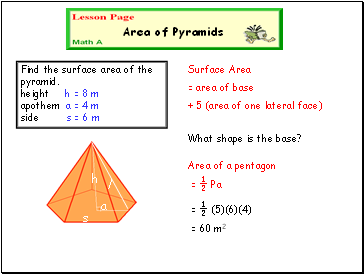 What shape is the base?